The Scissors pouch Ranger Green from the Ukrainian brand VELMET is a tactical accessory for convenient and safe transportation of medical scissors, which are used to remove Lister bandages. 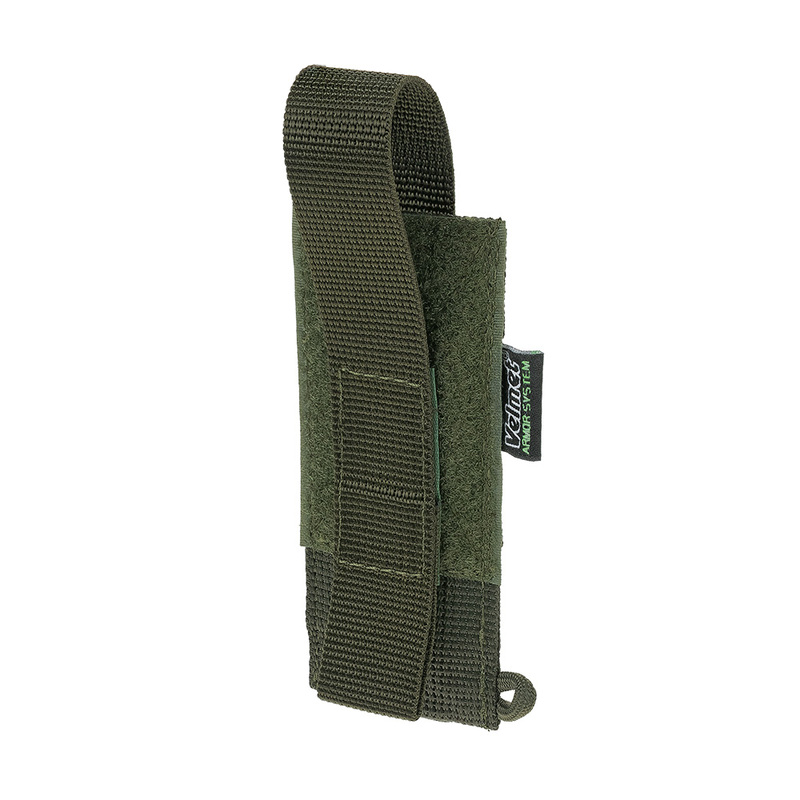 The pouch of this model can also be used to place the flash light of the MAG-LITE® Mini Maglite®, folding knives, other similarly sized gadgets. The Scissors pouch is equipped with a fixing tape with a textile clasp, which is passed through the eyelet and securely fixes the device inside the pouch. 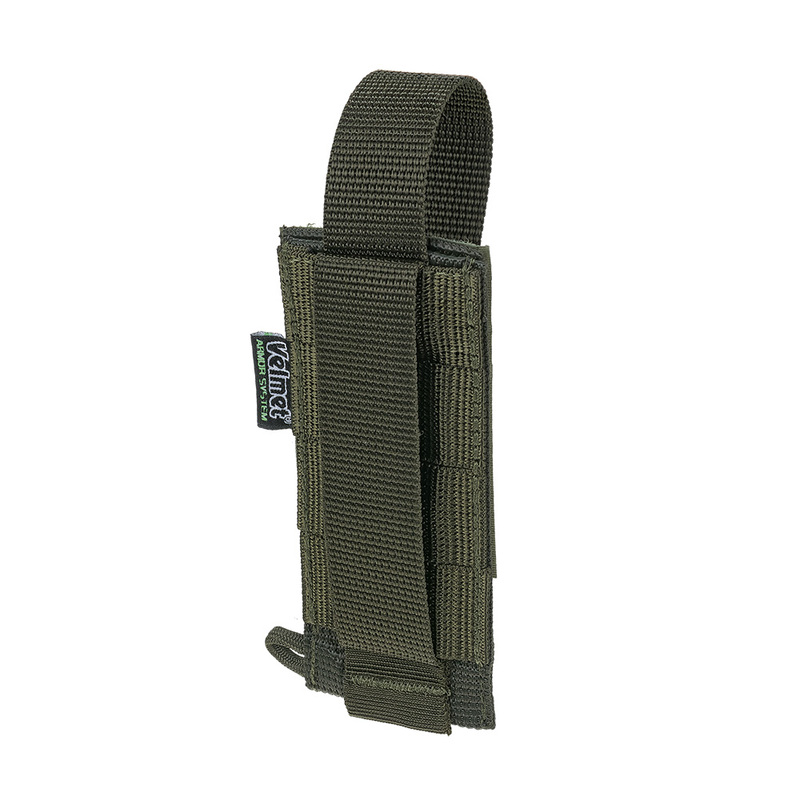 On the outer back of the product there are elements of the universal MOLLE fastening system with locking straps, which makes it possible to place the tactical accessory on the main equipment as conveniently as possible. To buy The Scissors pouch VELMET at a bargain price from the manufacturer, we suggest using the convenient functionality of our online store! • Designed for placing scissors with a length of 15-20 cm; is compatible with tactical instruments 10-15 cm long, up to 1.9 cm in diameter. • In the design, the scissors pouch provides a loop for fixing additional accessories. 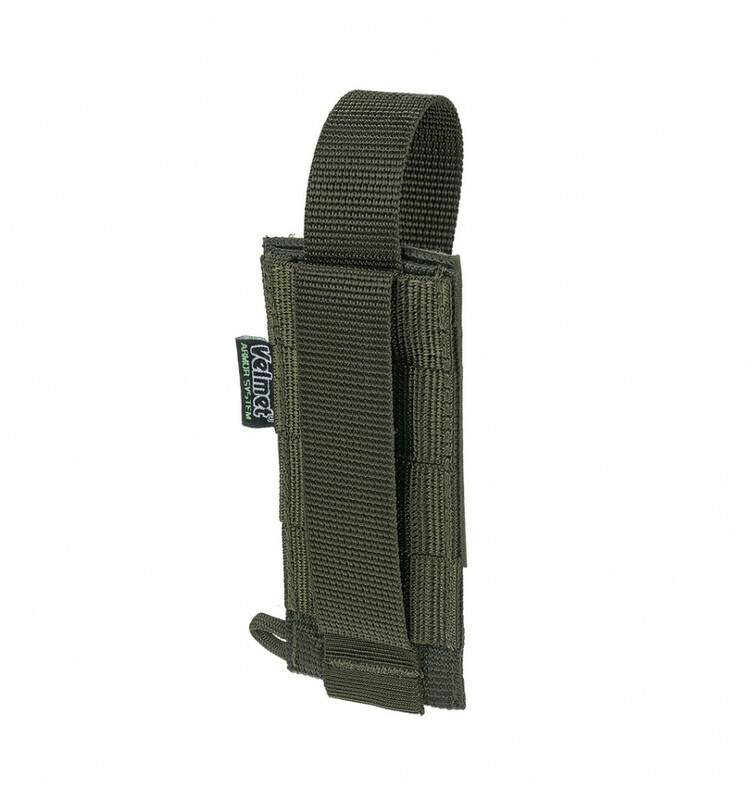 • The MOLLE system elements and additional lanyards are located on the outer back side. • It closes on the valve with a textile fastener. • Materials - wear-resistant nylon, textile fasteners Velcro® (manufacturer - Alfatex, Belgium). • Linear dimensions (L / W of a flat pocket), cm - 12 x 5. • Weight, g - 30.